We are engaged in the manufacturing of Glassware & Draining Racks that are best in quality, functioning and durability. 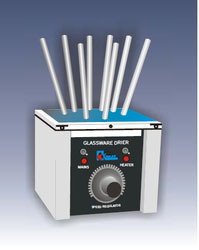 The range finds wide application in laboratories for various different purposes. We leave no stone unturned in attaining the satisfaction of the customers, thus we customize the range as per their needs and requirements. The range can be availed at reasonable prices.